Working with qualified buyers can save you time, money, frustration and a lot of disappointment. The Royal LePage Buyers Presentation is designed to assist you in qualifying your buyers, understanding their needs, demonstrating your value and establishing loyalty. 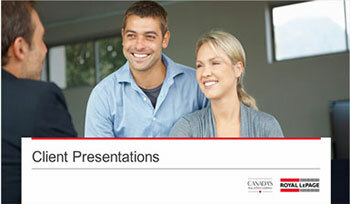 The presentation is completely customizable so you can add additional content as you feel is appropriate.